Happy Birthday Healthy Little Vittles! Today it’s officially May, and other than everyone sharing a laugh about the Justin Timberlake song (you know… the joke everyone says around the end of April “It’s gonna be May”- look it up, it’s funny) it’s my blog anniversary month! 1 year ago I decided to reinvent my blog Happily Ever After Gluten and turn it into more of a vegan, plant-based, gluten-free blog. I really wanted to come at this full throttle and give it my all. I am SO passionate about what we put into our bodies, because at the end of the day, if we don’t have our health- what do we have?! I’ve been on a wild journey with my health, especially over the last 5 years, and I wanted my health ailments to fuel me to better myself instead of shut me down. I didn’t want to wallow in self-pitty because I couldn’t have cake anymore, so I have been working hard to reinvent it. 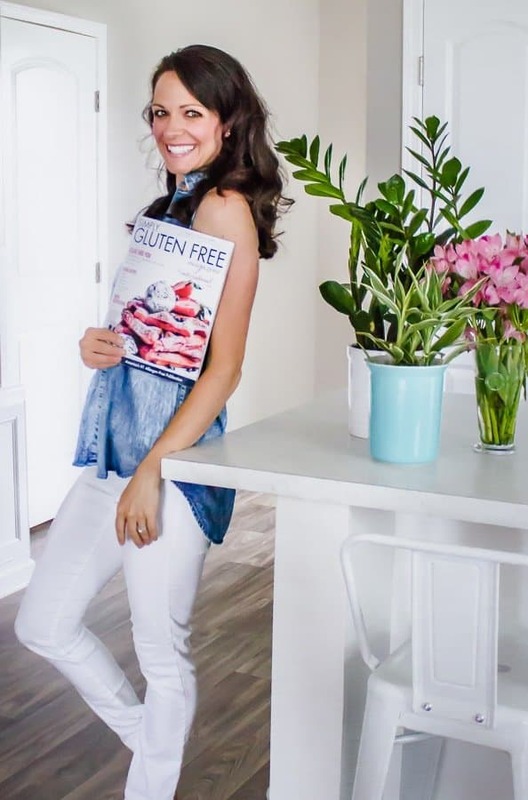 Now I know I am not the only person who has created gluten-free, vegan cake, and I’ve been so inspired by other foodies whom I share a lot in common with! This community is truly a blessing. I find that when I surround myself with people who share a common lifestyle I feel so much more equipped to keep going and pushing forward. I have grown to LOVE the recipes I create and the foods that I’ve newly discovered. I really feel as though this is what I am meant to be doing. Now while I know that sugar really has no benefit to us, I try to avoid it as much as I can, but I do also believe in balance. I think when we deprive ourselves of enjoying cake and sweet treats one hundred percent of the time we become bitter, and that’s also why I believe that diets fail. It’s ok to make cake and eat it too. But like everything else, in moderation. So this is one of those occasions that calls for me to let my hair down and go wild! haha I made this Funfetti Birthday Cake with Buttercream Frosting as a way to celebrate my journey, my blog, and this past year! Now, if you’ve read my other cake blog posts you’ll know I am really not a great baker. I am much better at cooking because baking is a bit more precise and doesn’t allow for as much creativity. I also don’t have the patience for decorating, even though the artistic side of me loves it- I find myself rushing because I don’t want the icing to melt, or the sprinkles to fall off (or my clumsy self to drop the cake on the floor… oh- it’s happened, friend!) So you might find it funny that I only decorated half the cake LOL!!! I mean, you should have seen my kitchen. I think my dogs got more sprinkles than the cake did… geesh I think at one point I was literally throwing the sprinkles at the cake trying to make them stick… so embarrasing! I’ve been really working on perfecting a good gluten-free, vegan cake recipe. I’ve made some tasty ones, many on this blog, but I think this one is the winner! I was inspired by my friend Holly over at The Little Blog of Vegan , if you haven’t visited her blog, you definitely need to! She is amazingly talented. Aw thanks so much Ruby!!! So sweet of you 💗 it sure is an adventure and I’m loving it 🙂 I am soooo happy we’ve connected and I love reading all your newsletters! Keep up the amazing work! You mentioned you’re not much of a baker but this cake is gorgeous! The colours are perfect. Happy blogiversary! This cake is so perfect!! Where did you find those gorgeous sprinkles? !